I have to say, as a busy mom of four, I am really really ready for back-to-school! But, as I’m looking forward to this much needed break, I’m not looking forward to the influx of germy yucks and the battle of the Fall and Winter bugs that will be creeping in along with my babes and into my home. With the return to the indoors and being in close quarters around hundreds of unrested, unnourished, sneezy, goopy kids all day, my little cubs are in for the battle of a million disease-causing microorganisms, viral bugs galore, bacterial who knows what and busy busy busyness… We all know that just one sick kid in the room can bring down a whole house for a week and no one wants that, so around here Wellness is where it’s at. So, what can we do to boost our immune system naturally with herbs? Well definitely start early! And we can start by supporting wellness with strengthening herbs year-around, but also by adding herbal immune boosters to our daily routine. Here are six of my favorite kid friendly tips for Back-to-School Wellness. 1. Good sleep….this is really a no brainer but well worth the mention. Adequate sleep is something everyone needs but more so if you want a fighting chance against the Fall and Winter onslaught of snot infestation! If your babes have trouble getting to sleep try simple teas with chamomile, lemon balm and oatstraw. It will help them relax, fall asleep, stay asleep and be well rested. Even my high schooler loves mommas teddy bear tea! 1 cup plain whole milk yogurt or other good quality probiotic, coconut kefir etc. Handful of power greens (kale, spinach, amaranth, chard, dandelion greens, beet greens, collards, parsley, purslane etc.) mix and match! And a scoop of your own homemade Super Powder (mine is a blend of powdered nettles, rosehips, beet root, acia berry, spirulina, chlorella, wheatgrass, turmeric, astragalus root, bee pollen and orange peel. Blend and enjoy! 3. Elderberry Thyme Oxymel: Everybody knows about the nifty little elderberry, and you can find syrups and such in pretty much any healthfood store or pharmacy. It’s a favorite for immune health because elderberries contain bioflavonoids, alkaloids, vitamins, minerals and anthocyanins which support healthy immune system function. And although yummy berries in general support normal production of white blood cells, the tiny little elderberry seems to be the most useful among them. It really doesn’t matter how you get them into your body, but instead of syrups or tinctures, I like soaking mine in raw apple cider vinegar and local honey. Vinegar’s a naturally occurring germ killer and contains more than thirty important nutrients, a dozen minerals, over half a dozen vitamins and essential acids, and several protein enzymes. It has cleansing, detoxing, healing and energizing health qualities like nothing else and has a huge dose of pectin for a healthy heart. Mix that with the humble elderberry and the super food honey and you are set. Add all ingredients into a glass jar that has a rubber flip top or a plastic lid as the vinegar will corrode metal, shake up and allow to sit and infuse for 2-4 weeks. Strain, rebottle and enjoy. Can be taken daily for immune support by the teaspoonful, or mixed into juice or tea. 4. Flower Essence to Reduce Stress: Emotional stressors, such as anxiety and depression stimulate the secretion of adrenal hormones, which suppress the activity of the thymus gland and white blood cells, and when stress happens and our adrenals are low, we are susceptible to The Yuck. Luckily, there are so many ways to reduce stress and support emotional wellness and one of my go-to’s is flower essences. The Bach Flower Remedies are great for kids and help them to deal with every day fears, daydreaming, self-esteem, worries, depression, self-acceptance etc. Get a bottle of Rescue Remedy or pick out personalized individual essences for specific stressors. For example, Elm is said to be helpful if they are feeling overwhelmed. Or for anxiety due to a lack of self-confidence, try Larch. Then just add the essences to their beverage, or directly in their mouth daily. Or put it in their smoothy! 5. 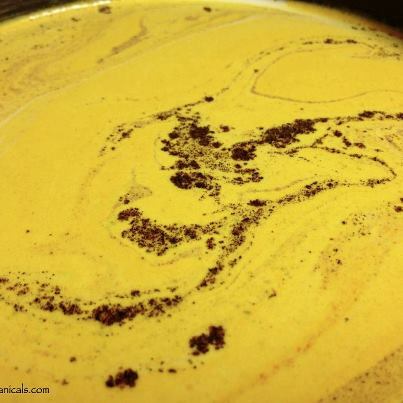 Creamy Ginger and Turmeric Milk: All I can say is MMMmmmm. I blend this up in a large mason jar so I can just scoop a bit into warm milk and honey when ever I want….Turmeric is an exceptional antioxidant with powerful anti-inflammatory abilities thanks to its active ingredient curcumin, which has been shown to protect and improve the health of almost every organ in our body. Sounds good huh! Plus curcumin is known as an immune modulator and can improve the ability of specialized immune cells to engulf and destroy germs (we like that). And ginger, is an amazing herb; it supports brain function, seriously wards off the viral yucks, and can give a zap to our immune system like no other. It’s a favorite warming herb too and can be used before a cold strikes to boost body temp a bit and increase circulation. Here’s how I like to combine these two. Take equal parts powdered turmeric and ginger and then add a nice big dash of any or all of the following: clove, nutmeg, cinnamon, cardamom, allspice, cayenne, black pepper and vanilla bean powder. 6. 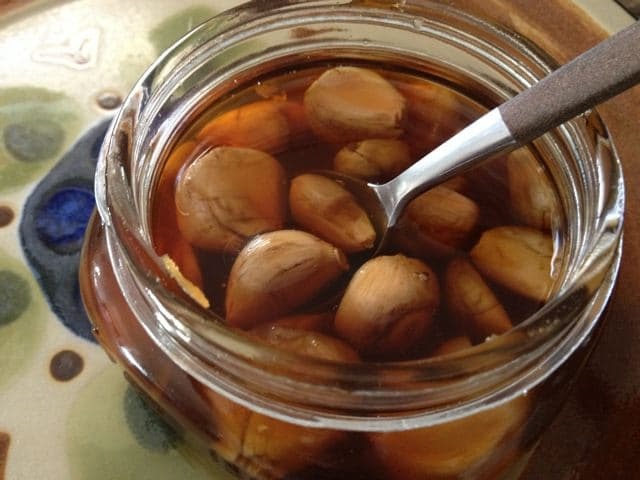 Garlic Honey: Fresh garlic has natural antibiotic and immune-boosting qualities. This feisty culinary herb has a wide array of health benefits ranging from cardiovascular protection to immune stimulation and shows amazing effectiveness against bacteria, viruses and fungi. Honey, also a natural antibiotic, has an ancient reputation as a super food. It’s immune stimulating and wonderful at promoting vitality. If you can, try and find local wildflower honey because it has the essence of all the wonderful medicinal plants around you. I like to put these two together and let them steep and meld and then pass them out to the kids (and myself) to nibble throughout the coming months. The garlic becomes like candy and is absolutely delicious. Once you make this, you’ll be hooked, so I suggest making several jars! 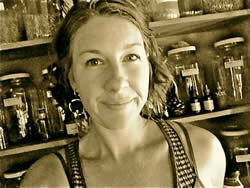 Jessica Morgan has been a practicing herbalist for over 20 years. Her lifelong passion for herbology, holistic nutrition, and gardening has led her to develop Morgan Botanicals where she shares her knowledge of plants and helps people reconnect with the healing powers of the plant kingdom. Jessica offers a year-round Herbal CSA, medicine making workshops, herbal mentoring, children’s classes, plant walks, wellness consultations, custom blends and garden and crop advice. What wonderful tips! I’m also a big proponent of supporting my family’s wellness. Do your kids take these happily? I am excited to try them. And I think I’m actually salivating over the creamy ginger and turmeric milk! Yum 🙂 Great post! Love the great ideas and pictures. 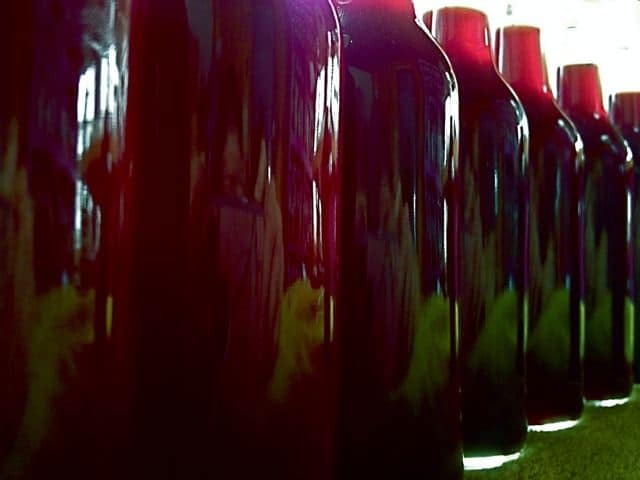 I make elderberry syrup and love the idea of using vinegar instead to increase the shelf life. Will definitely be making many of these and will share with all my friends! Thank You! Fabulous article. Some excellent suggestions that I will definitely try. An herbal CSA? Oh what a treat that would be!! Great post! (from one Goddess Circle member to another). Is there any reason I can’t use fresh elderberries for the oxymel? I a have a very nice little elderberry “grove” and have a lot of berries in the freezer. I tend to just add them into things or make a syrup. This is so incredibly fabulous! I especially love the homemade Super Powder which is totally brillant and the Ginger/Tumeric milk. We drink Cinnamon milk for a little boost on nights when we are cold or cranky or just in need of a little love. Now, I can’t wait to try out a new herbal milk! I am all for getting the kiddos good sleep, so important, without it things can go astray quickly. Thanks for sharing all these great recipes and advice. I am so excited to try this! One question though, for your homemade powder mix for the herbal green smoothie, do you put equal amounts of everything? I am wondering if you could clarify the recipes for the Creamy Ginger and Tumeric Milk and Garlic Honey? For the Creamy Ginger and Tumeric Milk, what exactly do you blend up in a mason jar and scoop onto the milk? For the Garlic Honey, in the photo it looks like you have kept the skin on the garlic. Is that true, or do you peel it first? Here’s a question: Have you ever tried fermenting your garlic? I’m wondering if the antibacterial properties are higher when they’re fermented rather than in honey. When you use honey for your syrup, how long do you let it soak? From what I remember, kefir is not to be sweetened with honey. Honey has anti… bacterial (?) (I’m soo tired…) properties or something like that, and that directly interferes with the good bacteria in the kefir. Let me know if you know differently. Thanks! Love your ideas, but I am also wondering about the Garlic Honey – Do you just put the garlic (with skin on) into the honey and let it set. If so, how long? Or do you heat the honey and pour over the garlic? Hi All, Jessica here… It’s wonderful to see so many people excited about these recipes! I do hope you try them out. For the Garlic Honey questions: I peel the garlic cloves first. Give them a little smash, peel and put them in your jar. Then pour in your honey, stir, cover. Also, I let them sit in there until we eat them all, but I do crack the lid everyday or so the first week to release the pressure…there will be pressure and the honey could ooze, but it’s cool to watch the process and taste test. It gets fairly liquidy once it’s done mingling and the honey becomes sort of translucent. Then eat them! Oh and the honey is great in hot lemon water or hot toddies…. or just plain for a sore throat. And for those wondering about the elderberries in the Oxymel, you could absolutely use fresh ones. I suggested dried in the recipe as those are easiest for everyone to obtain. Great post! Thanks, Jessica and Mel! 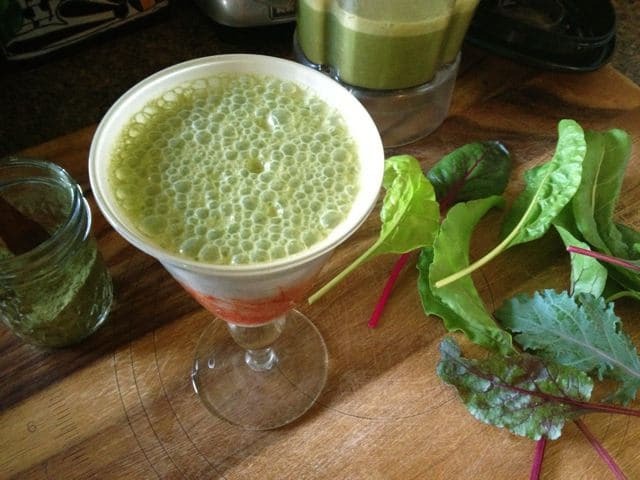 I look forward to trying some of these immune boosting ideas you have posted. The garlic sounds really interesting. Thanks for sharing. Thank you so much for your post. I can’t wait to try these. Thanks again! I like to start tasting them after the first week or so….but they get better the longer they infuse. You didn’t post the recipe for the honey garlic or how long to let it sit before using it. I would love to have it if possible. Regards, Thai. Hi Thai, the garlic honey is ready to eat after the first two weeks of infusing, but it gets better the longer it sits. To make it: I peel the garlic cloves first. Give them a little smash, peel and put them in your jar. Then pour in your honey, stir, cover. What size bottle of apple cider vinegar did you use for the Elderbeery Thyme Oxymel recipe? I usually buy the standard 32 ounce bottle and use about half of it. It depends on the size jar you are using, and you can make as much as you want. Enjoy and I hope that helps!